QVC Vitamix Creations II – One Day Sale – Get It? Today is Sunday, March 18, 2018 and QVC is running a one day sale on the Vitamix Creations II blender. The two question on everyone’s mind is, is it a good blender and is it a good deal? Where Can I See The QVC Infomercial? Is The Vitamix Creations II A Good Blender? Who Is The Vitamix Creations II For? Why Buy A Vitamix Creations II Blender? Where To Buy A Vitamix Creations II Blender? Places To Buy Vitamix Blenders? Why Buying Direct From Vitamix Is A Smart Choice? Series: it belongs to the Vitamix “Classic” series. Blender Controls: 1 switch for variable speed or High Speed. 1 dial for blade speed. Returns: QVC has a 30 day return policy. Age: Being part of the “Classic” series, this is an older design. After the “Classic” series, there has been 3 newer lines, the “Next-Gen” Series, the “Ascent” Series, and the “Explorian” Series. To answer this right off the bat, yes, this is not just a good blender, it is a great blender! The “Classic” series from Vitamix is the series that made Vitamix legendary and has tons of fans. 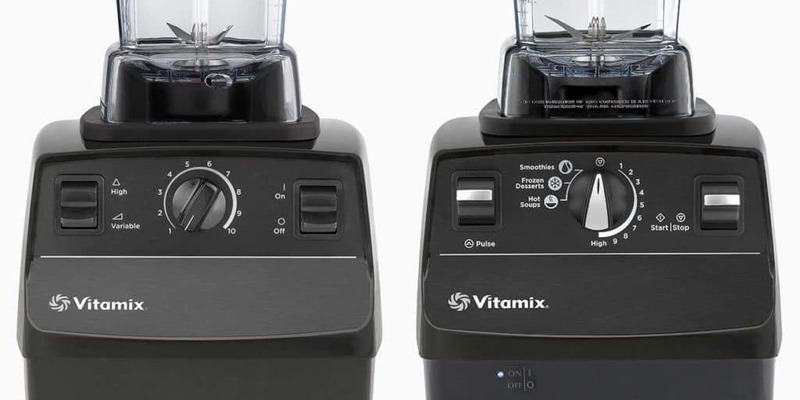 The motorbase is basically the same throughout all models in the “Classic” series using the same 2 HP motor on most blenders (Vitamix 530o is one exception that uses a 2.2 HP motor). What changes from each model in the “Classic” series are usually different blender controls, different containers, and different cookbooks included with the blender. Load ingredients into container. Secure lid onto container. Place container on to motor base. Decide if I want to use Variable or High speed. For nearly everything I make in a Vitamix with these blender controls, I set the switch to use Variable Speed. Set the knob to “1”. Flip the On/Off switch to “On”. The blade will then start turning at speed “1”. Then slowly increase the blade speed from “1” to “5” or higher. Whichever looks right to you. And this is a question frequently asked, “How do I know which speed to use”? Well, there’s no real science about it. You will learn what works best for which ingredients as you gain experience. For example, if I had an item with seeds in it (pomegranate, strawberry, etc), I usually get the speed up to “8-10” to pulverize the seeds. Rest assured, even first-timers will make great tasting recipes as they learn how to use the blade speed knob! So to answer the question, yes, this is a terrific blender, as the entire line of Vitamix Creations blenders all get the Blender Reviews seal-of-approval. To say this is a great blender for beginners, home chefs, as well as restaurants, in other words, “everyone”, would be a bit cliche’. But we can really say this is a great blender for everyone. The knobs and dials are super easy to learn for a beginner. For more experienced home chefs, it has all the power and control you would need to create terrific soups, puree’s, and other recipes. And for chefs, well, the Creations line is the one that was chosen to make the “Vitamix CIA Creations“, which was endorsed by the Culinary Institute Of America to be used in their gourmet chef schools. QVC did a terrific job on all the selling points of the Creations II blender. You can watch their video above to see the tremendous benefits it will provide to you. It’s a Vitamix. They last forever. And the “Classic” series is what solidified Vitamix blenders reputation as indestructible. A Vitamix under $300 is a great value. Vitamix blenders are expensive, normally in the $300 range you get a refurbished Vitamix. To get a new model, you’re normally spending upwards of $400 and usually in the $500 range. You’ll see it mentioned in the QVC video that you’re making an “investment”. That word alone lets you know this is an expensive kitchen appliance. But you’ll soon discover like most of our readers that it truly is a worthwhile investment! Risk Free. Is a Vitamix as good as everyone is saying it is? There’s no risk. QVC has a 30 day return policy so if you find it really isn’t that good of a value for the way you cook or the meals that you make, just return it within 30 days to QVC and get your money back. While the QVC Vitamix Creations II is a great deal at $299, there are other options in the Vitamix line to consider. Why? It’s $329.95 with free shipping (using the link here). It is the exact same motor base as the QVC Vitamix Creations II, but it ships with a Classic 64 oz tall container (which has proven to be great for small as well as large batches of ingredients). In a nutshell, for $29.95 more than the QVC Vitamix Creations II, in our opinion you get a superior container. Why? It’s even more money at $379.95 with free shipping (using the link here). 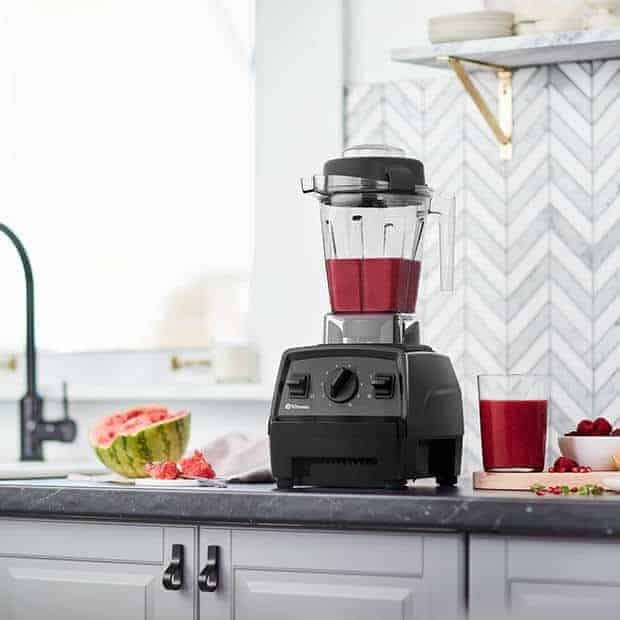 It provides all the same benefits of the Vitamix Certified Reconditioned Standard (above), but it also adds superior blender controls AND “Blender Programs” for $50 more (or $79.95 more than the QVC Vitamix Creations II blender). We at Blender Reviews are huge fans of Blender Programs for home cooks. It is a small price to pay for super convenience and a quick way for even beginners to attain great tasting results time and time again. In the $300 price range, there is only one blender to consider, the Vitamix Explorian E310. This weekend only (ending the same time as the QVC Vitamix Creations II blender, on Sunday, March 18, 2018), you can get not only a new blender (not refurbished) but also Vitamix’s latest series of blenders they introduced in 2017 called the “Explorian” series. The QVC Vitamix Creations II is very similar to the Explorian E310. As you can see from the motor bases compared side-by-side, the controls are nearly identical. The only difference is the Creations II has a “High” and varialbe speed setting on the switch and the E310 instead has a “pulse” button. In real-world usage, we don’t think there’s any difference. QVC is of course is running their special today. You can buy that model from their website here. Vitamix is our preferred place to purchase their blenders. You can buy from Vitamix using one of our links, which gets you free shipping at no additional cost to you, and it provides us a very small commission that helps us pay for blenders to review, hosting, and all the other costs associated with running a popular website. No worries about buying from an unauthorized store or reseller. Which could void your warranty. You get free shipping when using any of our links. You get free returns within 30 days and Vitamix pays for the return shipping (view the latest Vitamix return policy here). Adding the extended warranty at the time of purchase also makes it a super easy way to get it without having to remember to purchase it later. Lastly, we’ve had good success buying Vitamix blenders from Amazon. If it’s not “Shipped From And Sold By Amazon”, you should do some homework on the vendor actually selling you the blender. Although Amazon doesn’t have a listing for a Vitamix Creations II blender, we’ve listed all the other Vitamix blenders on their site that are around the $300 price range. These are models that we would recommend in place of the Vitamix Creations II blender. Overall, we really like the QVC Vitamix Creations II offer. For $299 for a Vitamix and buying from a trusted seller, you can’t go wrong. If it were our $299, we’d buy the Vitamix E310 direct from Vitamix.